Though Dolly the Sheep looks like any of the other woolly creatures that fill the Scottish countryside, she’s actually an extra special specimen. She was the first cloned mammal ever to be created from an adult cell. Small museum dedicated to the founder of electromagnetic theory. The sheep was a scientific marvel. Her successful arrival into the world brought her international fame within the scientific community. 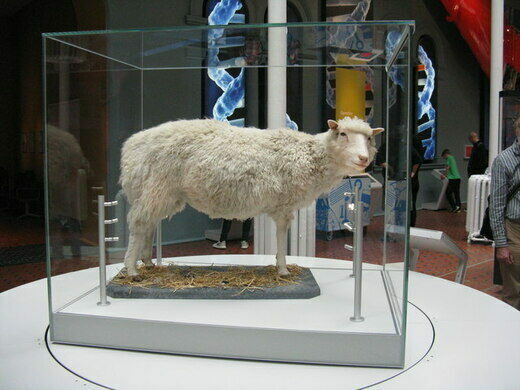 Before Dolly, the idea of cloning an adult mammal was pure science fiction. Dolly was created from the mammary gland of a sheep. It’s how she got her name. The animal was named after country singer Dolly Parton who, as one of the men responsible for creating the sheep said, has her own famously impressive pair of mammary glands. Dolly was born in 1996 at the University of Edinburgh’s Roslin Institute. Despite the fact that her life began in a test tube and she technically had three moms (one sheep provided the egg, another the DNA, and another carried her embryo), she lived a fairly normal life. She was even allowed to breed, and birthed six lambs of her own. Sadly, she died in 2003 after developing tumors in her lungs. 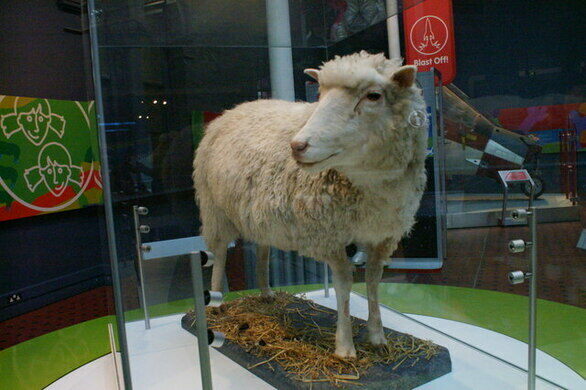 You can pay your respects to the famous sheep by popping into the National Museum of Scotland in Edinburgh to view her stuffed remains. Dolly is just one of the many things to see and experience at the museum. 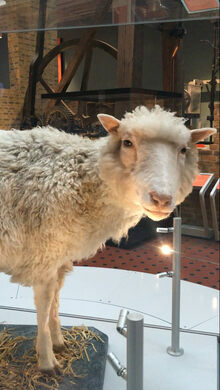 Dolly is on display in the science and technology galleries.